•preparation of opinions relating to validity and infringement of intellectual property rights. I am a contributing author to Lahore et al., Copyright & Designs and to the Validity chapter in Patents in Lahore et al., Patents Trade Marks and Related Rights. 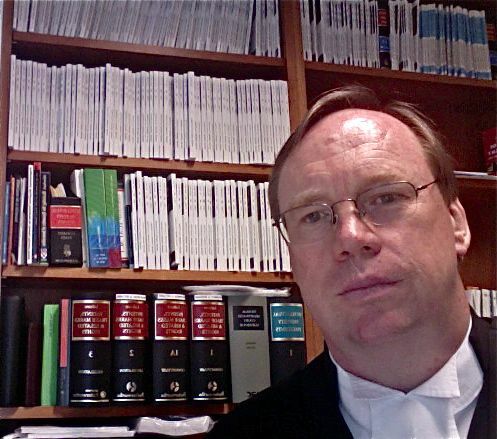 Prior to coming to the Bar, I was a partner in the IP/TP and telco group of Mallesons Stephen Jaques. a member of IPSANZ, the Copyright Society of Australia and AIPPI. In 2017, I shall be teaching Patents Law in the postgraduate program with Ray Hind. From 2008 to 2016, I taught designs law with Ray in the postgraduate program at Monash University where I also taught Copyright in 2012 and 2013 and, with John Gibbs, Patents Law in 2015 and 2016. … were created with different software (now obsolete) on a different site. The original posts can now be found here but the links will probably be broken.